Recommended reading for grade 12 students who love really good stories. Paolo Bacigalupi creates a thriller that is based on the premise of severe water shortages across the southern United States. The southern states are fighting over the dwindling shares of the Colorado River and this story revolves around the players and those caught in the cross fire. It is a book that could very possible become true in the not too distant future. A must read for the environmentally aware. I happened to meet Steven Price at a book reading that he gave at Westdale Secondary School in the fall of 2016. He was a very thoughtful and precise thinker and seemed introspective, but he is a poet after all. The prose in his latest book, By Gaslight, has the imagery and emotion of poetry, but it has also captured the intrigue of an old world detective chasing his prey. I would recommend it to anyone who loves a good detective mystery, but who also loves to have a world created for them in full colour (albeit this novel does have pervasive foggy weather). A review by the Quill & Quire is HERE. Thomas King has created an intriguing book that will keep you on the edge of your seat. He combines wit and humour to tell a story that is part mythology, part legend, part mystery, but wholly spiritual and skillfully interweaves Native American and EuroAmerican literatures into this magical tale. 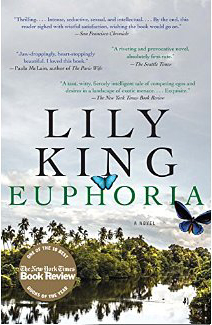 Lily King explores the culture of the anthropologists of the 1930s as they raced to demystify the many unknown tribes in New Guinea. Inspired by the work of Margaret Mead, King explores the extraordinary work, personal sacrifice and risks taken by these anthropologists. 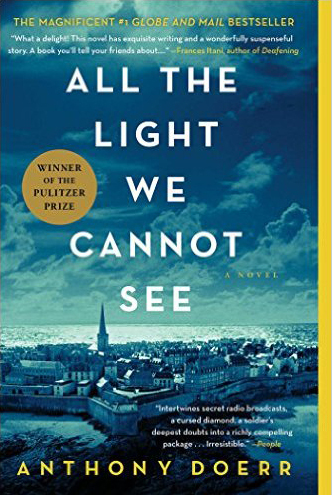 Winner of the 2015 Pulitzer Prize for Fiction, Anthony Doerr writes an enthralling story about love and empathy amidst the terrors of war and extremism. The story revolves around a blind young girl and her devoted father, who creates an exact replica of her town so that she can easily find her way. The girl, Marie-Laure, had become blind by the age of six. Her father is a locksmith who works at the Museum of Natural History. As his daughter’s sight finally fails, her father builds her a model of Paris, and in this way she is able to navigate around the city. The Jardin des Plantes is their favourite place, and here Marie-Laure orients herself by counting drain covers and trees and streets, memorising routes and recognising the scents of trees and flowers. In a parallel story, a young boy in Germany, Werner, an orphan, comes to the notice of the Nazis for his astonishing skill at fixing radios, and this leads to his relocation to an elite school aimed at providing skills for the Reich. Little Werner proves his worth and survives, even though the school is brutal and unrelenting.